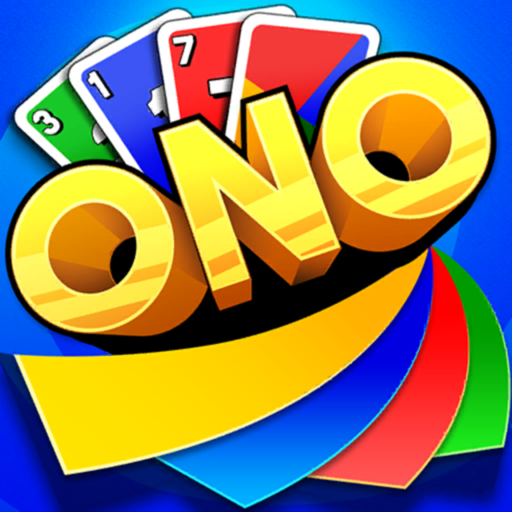 Ono free is a fast paced card game. It's challenging and enjoyable for card players of any skill level and age. 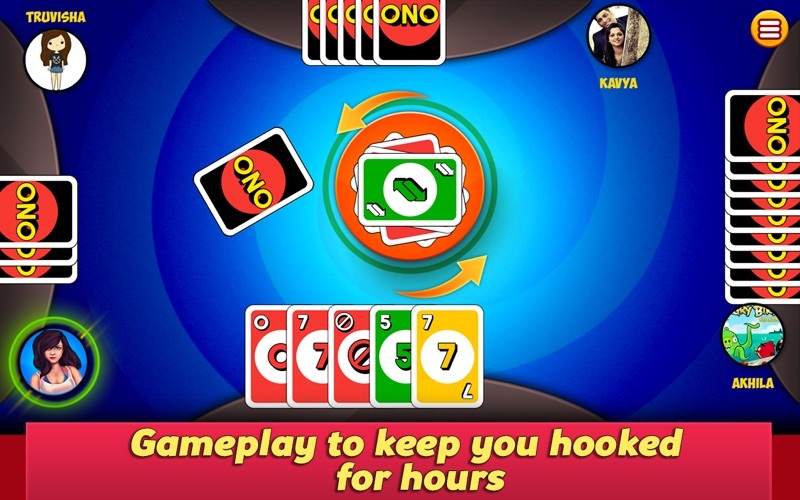 Ono Features Online Multiplayer Modes, you can play online with millions of players around the world. You can also player with your friends and family by creating private tables to play! Love Ono Game - of course, who doesn’t? 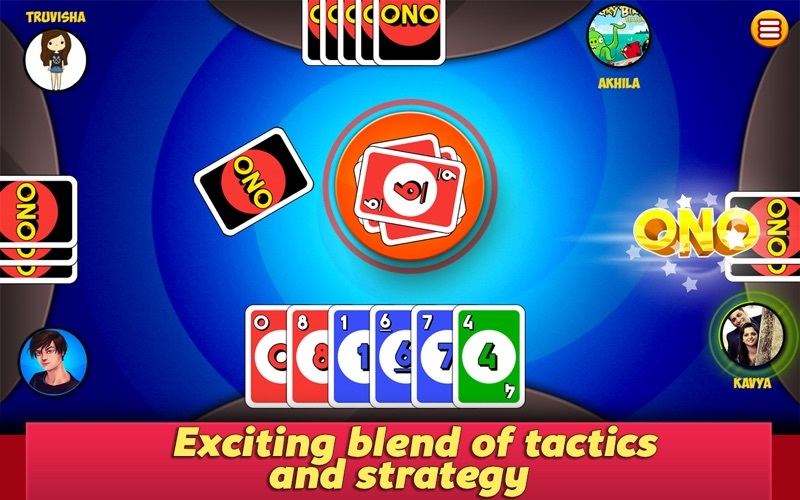 Ono is a must have for everyone who loves Ono free game. The objective of the game is to be the first player to shout Ono. 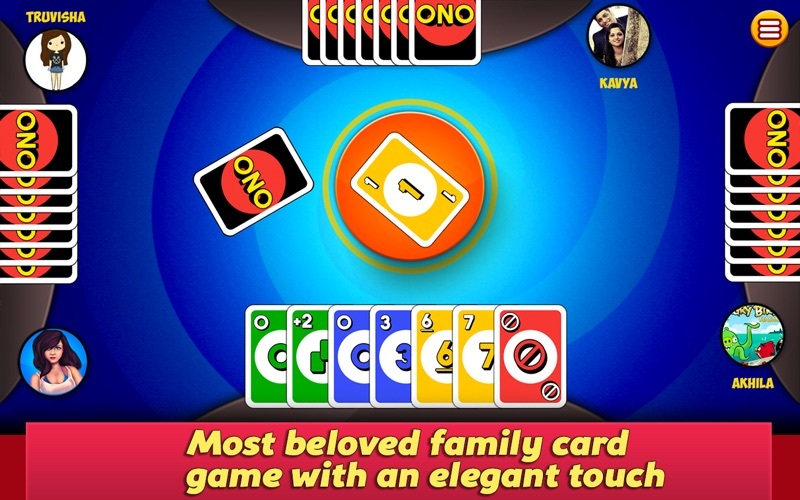 The card deck contains four colors with numbers from 0 to 9, as well as action cards - "Reverse", "Skip", "Take Two", "Wild" and "Wild Take Four". Each player is dealt 7 cards with the remaining ones placed face down to form a draw pile. The first player has to match the card in the discard pile either by number or color or the player can throw down a Wild Card else he must pick a card from the draw pile. If he can play what is drawn, great. Otherwise play moves to the next person. The winner is first one who has no cards left. Points are scored and you start over again. 2. 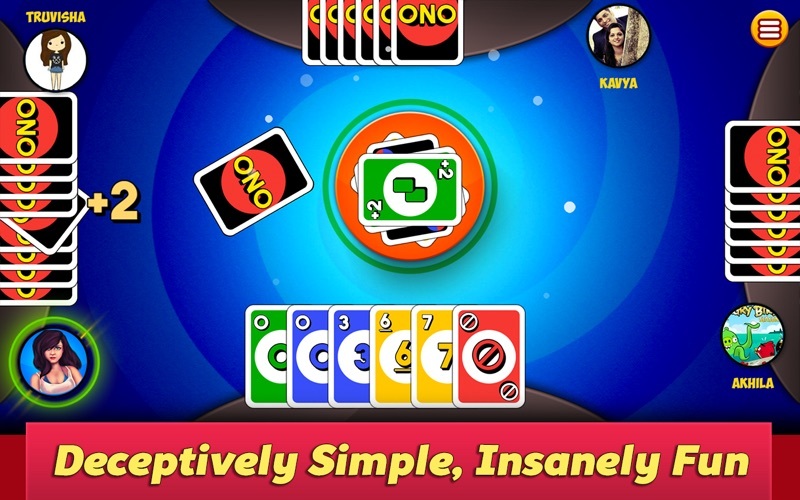 You should say Ono before throwing second card and left with only one else you will get two penalty cards. Its a variation of the card game Crazy Eights, with a bunch of strategy cards thrown in to make it interesting. Unlike other games, Ono is still fun even when you have played it many times. 4. Fast-paced, competitive and fun - for free! Enjoy the game. Share the game with your friends!